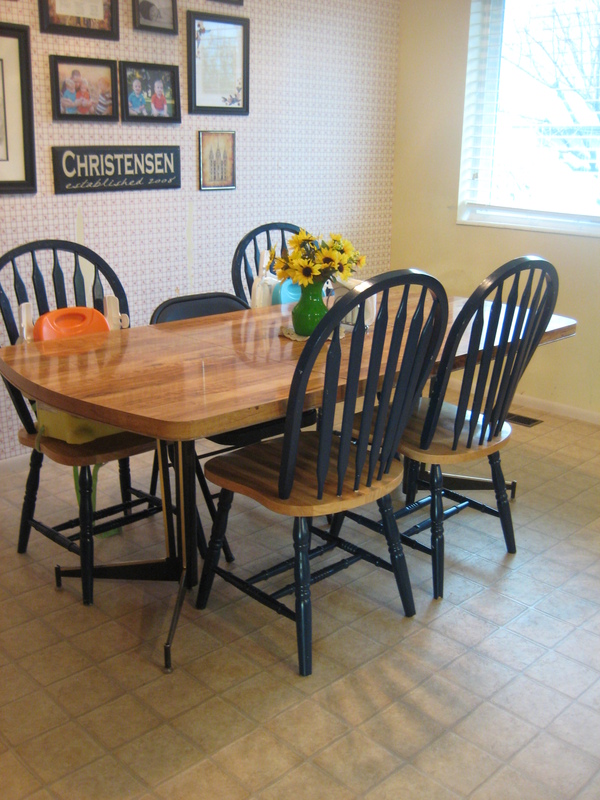 Derek and his Superdad put new vinyl floor under the dining room table. 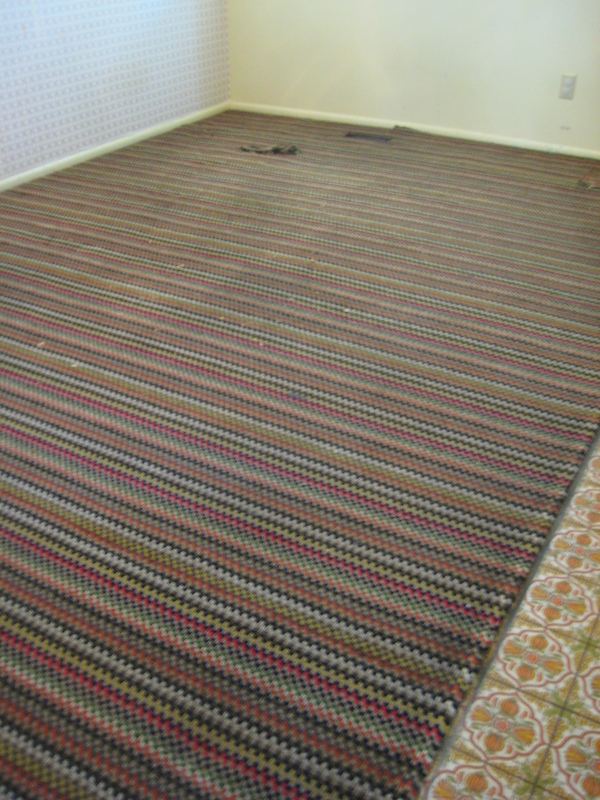 I am saving my pennies for a wood floor when we do our complete kitchen remodel but the old holey carpet had to go. It couldn’t wait. Here are before and after shots. The only downside is now I can actually SEE all the stuff my boys drop on the floor at mealtimes.